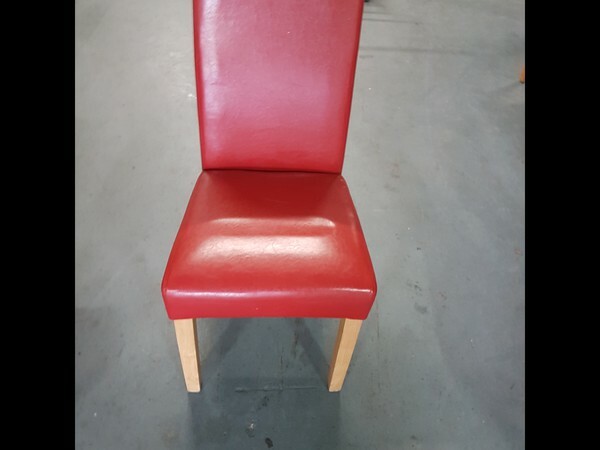 24 No. 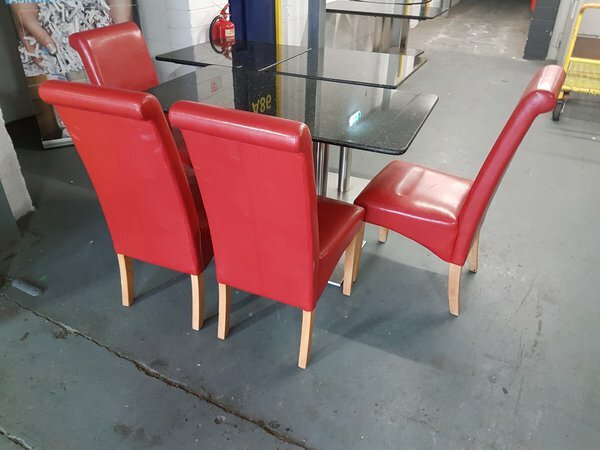 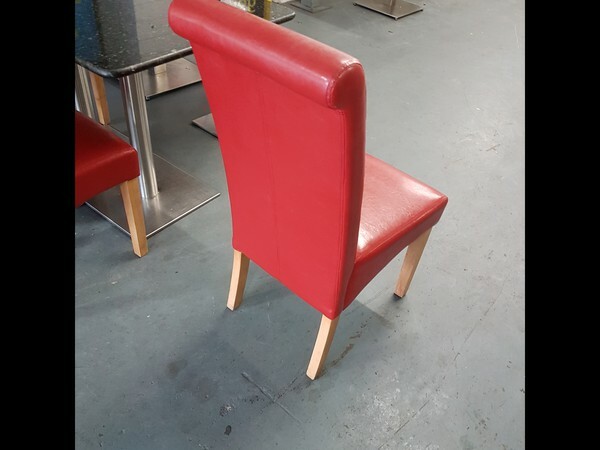 2nd hand Red faux leather chairs with a Natural polished legs. 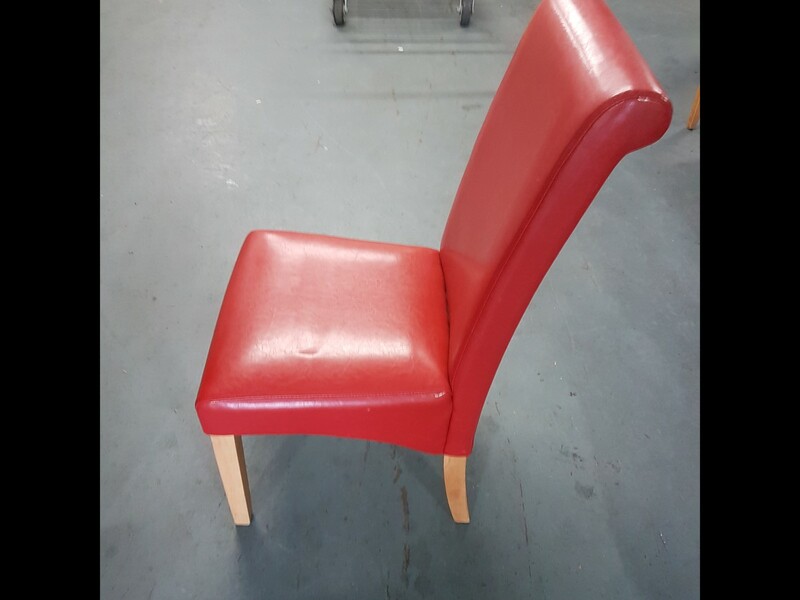 Supplied structurally sound with no visible rips or tears in the upholstery.